Although born in France and educated at Toulouse and Geneva, Pierre Bayle spent most of his life in Holland, as the leading member of an active intellectual community at Rotterdam. The early writings of this French Protestant include a plea for broad political toleration of divergent opinions on religion. His greatest work is the incredibly ambitious Dictionnaire historique et critique ( Historical and Critical Dictionary ) (1697), which could reasonably be regarded as Western culture's first significant hypertext document. 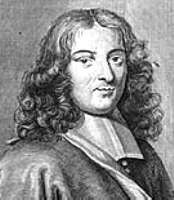 Although its articles about obscure ancient and modern figures sometimes contain little information of direct interest, Bayle used them as the starting-points for a complex series of endnotes, sidenotes, and footnotes in which he addressed contemporary philosophical nand theological concerns. Bayle's predominant theme was a profound skepticism about human knowledge, derived originally from his admiration of the ancient Pyrrhonists but applied strictly to the new science and philosophy of his own time. He used the fact of animal thinking as evidence against Cartesian efforts to establish the unique status of an immaterial human soul. On the other hand, he also argued that the untenability of the primary / secondary quality distinction poses an insurmountable difficulty for both rationalism and empiricism. On religious matters, Bayle delighted in pointing out contradictions between theological tenets and the self-evident dictates of reason. This declaration of the fundamental irrationality of Christianity, however, left ample room for adherence to a rigorous fideism about god and revelation. Bayle's treatment of such issues posed important challenges for the development of modern thought and were greatly influential on the philosophy of Hume. Gianluca Mori's The Pierre Bayle Home Page at Università del Piemonte Orientale, Vercelli (Italy). An article by Thomas M. Lennon in The Stanford Encyclopedia of Philosophy. Last modified 21 November 2011.